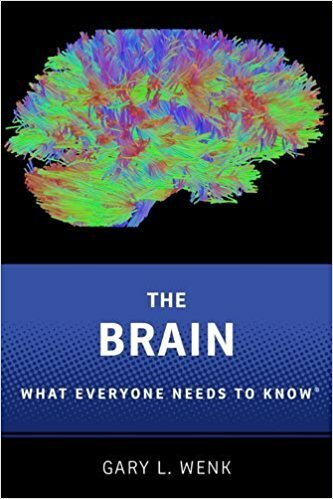 I found The Brain an easy read in terms of the language (though inevitably we get a string of labels for different parts of the brain), but sometimes I struggled to make sense of what was being said. For example, we're told: 'The brain is the organ of your mind; therefore, food and drugs can have a profound influence on how you think, act and feel.' There seemed to be something missing in the logical argument that allowed that 'therefore' to be used. Further down the same page we read 'Human behaviour has impacted [tobacco and coffee] plants as much as they have impacted human history; for example, the introduction of coffee and tea fuelled the Enlightenment and the Industrial Revolution.' There's a similar logical disconnect. Even allowing for the dubious accuracy of the importance of coffee and tea to the Industrial Revolution, that 'for example' should presage an example of the impact human behaviour has had on the plants, not the other way round. It just doesn't quite make sense - and that happens a number of times. In order to understand how your brain makes a memory, you first need to learn about brain chemistry and the roles specific chemicals play in the creation of a memory. First, you need to know about a chemical in the brain called acetylcholine. It's almost as if the text has been proofread, but not edited. An awful lot of it is made up of fact statements, without any narrative flow. However, I shouldn't be too hard on the book. Some sections are genuinely interesting, notably the part on how food and drugs (Wenk points out that there is no meaningful distinction - they're all collections of chemicals) influence the brain. I end up, then, in a mixed frame of mind (an interesting brain state). I learned a lot and parts of the content were very interesting, but the writing could have been significantly better. You sometimes see a book by an academic that cries out for a co-author, and this is one such. Even so, despite the issues I have with it, it should be of interest if you'd like to take more of a dive into the most complex known structure in the universe.